What a crazy and hectic day, first day back to school for the kids and my first day back to work. The weather didn’t cooperate, it had to rain. All the children dressed in their new school clothes were getting wet, so they had to bring them in the gym where I run my program. They always look so cute and handsome that first day with their new haircuts, clean clothes and shiny bright faces. They are so excited to see friends and teachers. I decided to make a soup in between my shifts today. I needed something quick and easy. As the rest of my day was already booked. That doesn’t stop me from wanting healthy recipes however. Lentils are loaded with health and nutritional values. It will be nice to come home and just warm this soup up. In a large stock pot, heat the oil over medium heat. Add the onion and sauté for about 3 minutes until soft. Add the garlic and sauté until fragrant. Add the smoked paprika, cumin, coriander and cayenne pepper. Add the tomatoes and simmer for 5 minutes. 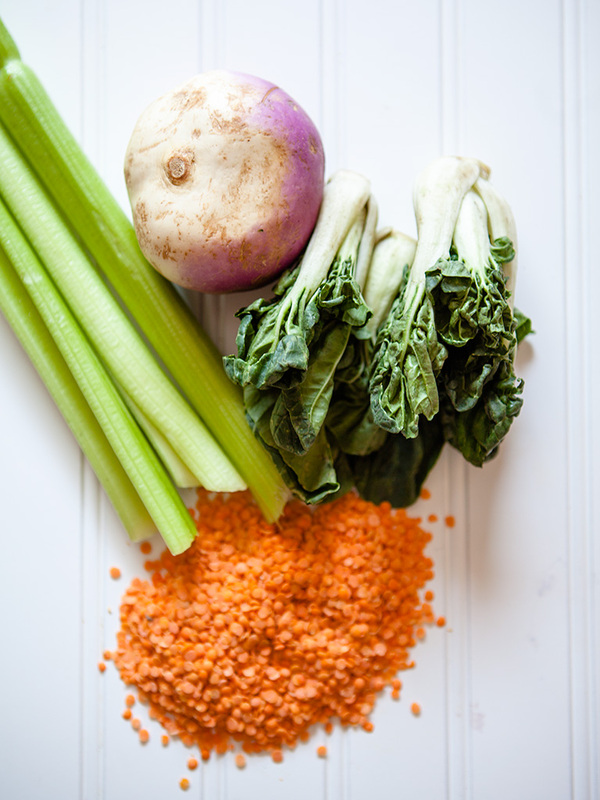 Add the vegetable broth with the celery and rutabaga. Cook for 10 minutes. 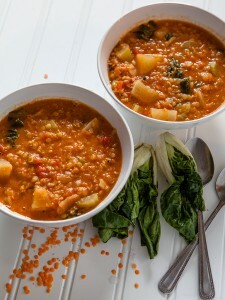 Then add the red lentils. Mix everything together in pot. 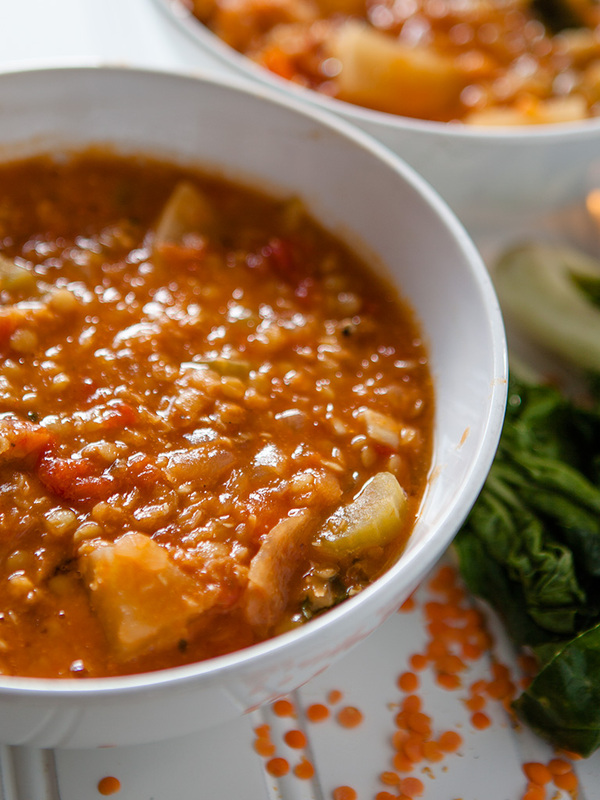 Bring to a boil, then cover and simmer over medium-low heat for about 45 minutes to 1 hour until lentils are tender and have fallen apart to thicken the soup. Then add the bok choy cook until wilted.